Give loved ones a keepsake of your grad's awesome accomplishment with a Graduation Announcement Magnet. The vibrant colors make your grad shine even brighter. 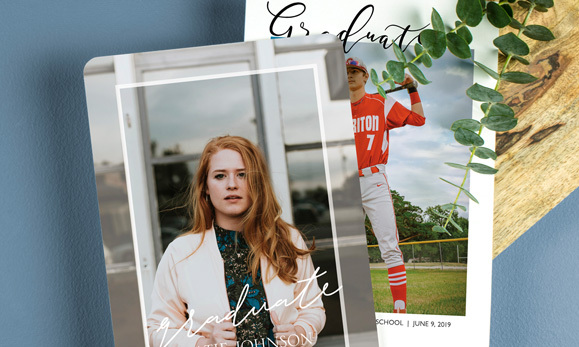 Let pride in your grad shine through with these premium-quality Graduation Announcement Cards. Personalize the fonts and colors to reflect their style! It's your grad's time to shine! Share your graduate's joy by sending out custom Foil Graduation Announcements. Their big news deserves to shine bright, so customize your design with raised silver,gold,rose gold, or copper foil. 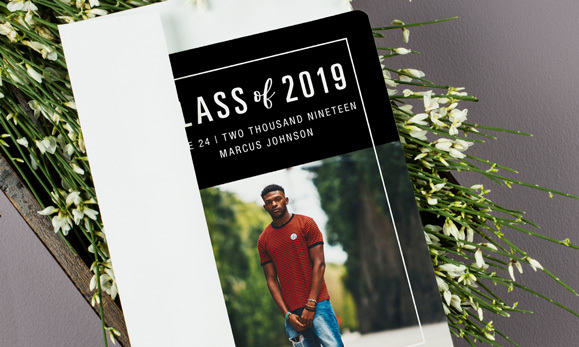 Whether you want to make a bold statement with a lot of foil or add in subtle accents—foil Graduation Announcements are a great way to capture the momentous occasion. My son's graduation announcements are awesome. I was able to use a five of his graduation pictures on the magnet. It was easy to mail; only needed one stamp even with an addition photo enclosed. I started receiving phone calls right away on what a great idea it was. The pictures are clear, the writing is legible and the magnet was of great quality. This invitation will not be forgotten about because it is on 60 people's refridgerators!! The Graduation Announcement came out great! It was very simple to make the Graduation Announcement. We were able to find the right color. My son and husband love them, Thank you! We opted to purchase these magnets instead of traditional high school graduation announcements and we are extremely pleased that we did! They are very high quality and clarity. They are a big hit! Love my son's graduation announcement. My sister had used this last year, so I thought it was a neat way other than the same old card you get in the mail. Magnet announcement can go right on fridge as a reminder and its a wonderful keepsake for those close family and friends. Don't let this major accomplishment pass by without celebrating and shouting it to the world! Personalized Grad Announcements capture the joy in this season of life and shares it with family and friends. Graduation Cards or Magnets create a personal and meaningful keepsake of this big moment, and beautifully reflect your student's individual personality. Whether it's high school or college graduation, there are so many eye-catching designs to choose from! 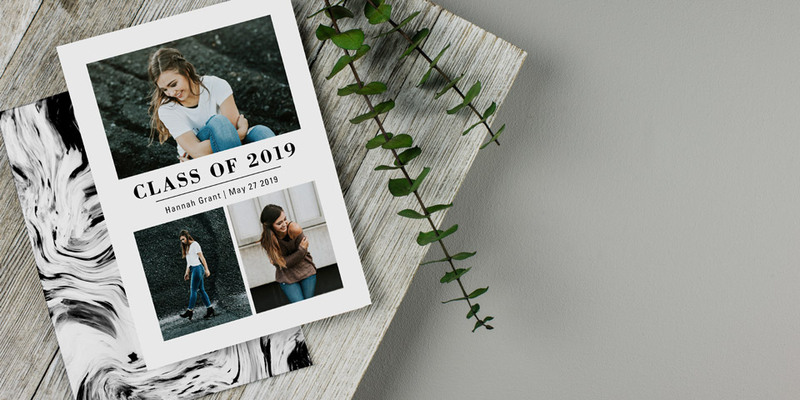 Creatively customize our modern or classic graduation invite designs with your favorite photos and personalized details, while impressing friends and family. Our collection of graduation announcements and photo graduation announcements will surely showcase your grad in the best way.